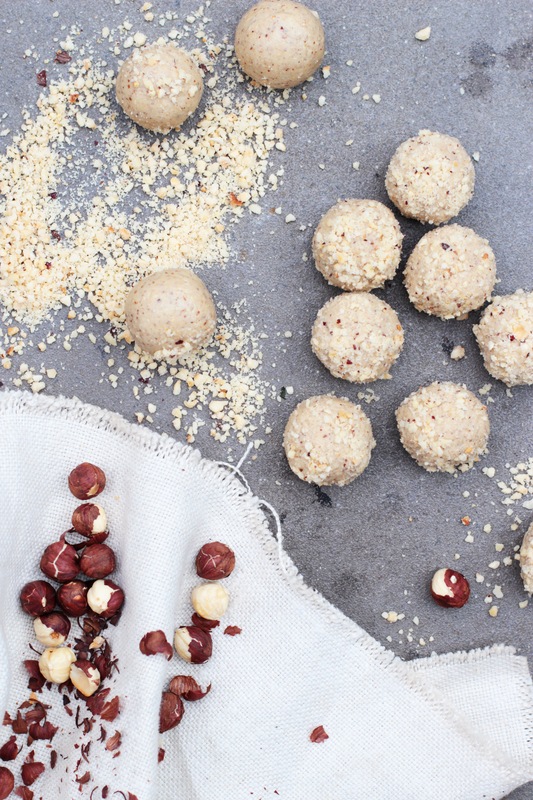 I make a batch of my Cookie Dough Balls at least once a week but I’m so addicted to tahini at the moment that I just had to make something similar with lots of tahini flavour. 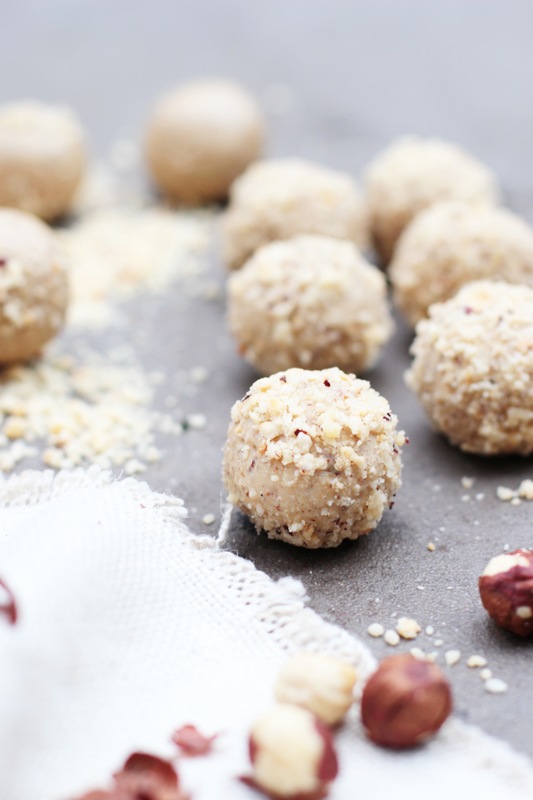 These tahini hazelnut balls are the handiest little snack that you can take anywhere and they are the best treat with a cup of coffee. I only use about a tablespoon of honey per batch but you can add a little more if you like them sweeter. Preheat the oven to 180’C. Roast the cashews/almonds at 180’C for about 8-10 minutes until golden. On a seperate tray, roast the hazelnuts for the same amount of time, then set them aside. When the cashews/almonds are cool enough to handle, add them to your food processor with a good pinch of sea salt and blend on high for about 3-4 minutes until you basically have a thick nut butter. Add in the tahini and sweetener and keep blending until you have a thick, smooth mixture that easily forms into balls. Add the hazelnuts to the food processor and blend them into a coarse flour. Roll each ball in the hazelnuts to coat.